Raffir Wood is our quality brand of stabilized wood. It is also the core product of our company. We have more than 15 years of experience developing, producing and improving stabilized wood. It is a continuous cycle, and every year we strive to make it better, stronger and more beautiful. 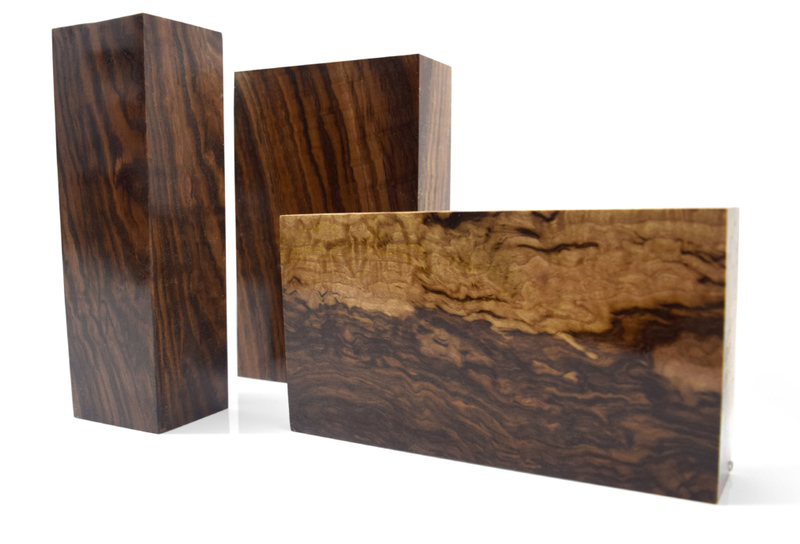 We create it from beautifully figured natural wood that we fill to the core with a specially developed resin. The finished material maintains the unique grain patterns of the untreated wood. Meanwhile, it obtains mechanical advantages from the strong resin compound. We stabilize Raffir Wood in various colors such as: black, brown, red, yellow, purple, lime, green, orange and natural. Raffir stabilized wood has high durability and can obtain a high gloss finish after polishing. It absorbs very little water after the treatment, and will have very low swelling and shrinkage at different humidity. Therefore it will not warp and crack as easily as untreated wood. The material has a smooth surface without porosities and needs no other finishing than fine sanding and polishing. Our standard handle blocks are 120*40*25mm, while handle scales are 120*40*8mm. Custom dimensions are also available for other purposes. We can cut up to the size of our finished raw blocks, which differs depending on the type of wood. The typical raw blocks are about 260*135*40mm. However, our current maximum size is about 450*200*65mm. You are welcome to contact us for further information. Or you can ask our retailers for their current availability.